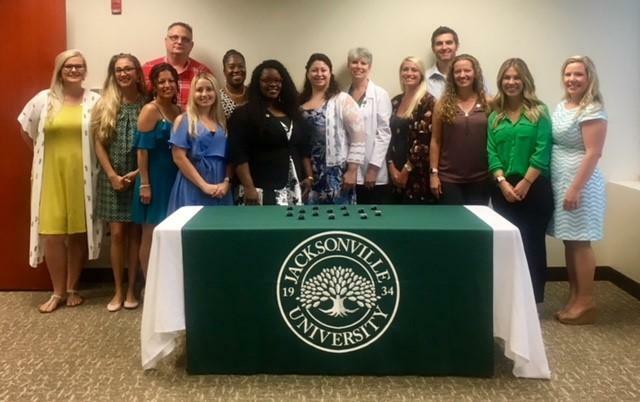 RN BSN Cohort | Jacksonville University in Jacksonville, Fla. 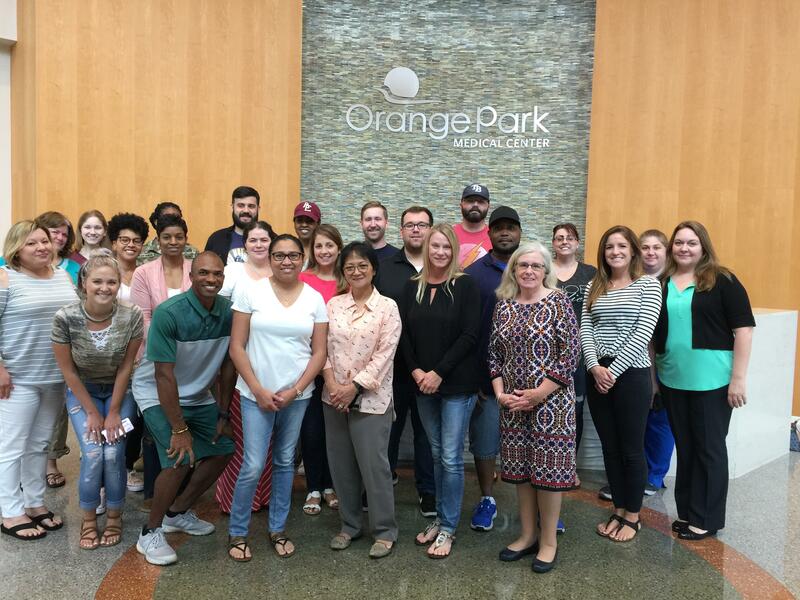 The RN-BSN Cohort program is designed to afford busy working registered nurses the ability to obtain their Bachelor's degree at a reduced tuition rate, in a setting that is familiar and convenient. Located at a satellite institution, classes are held in the evenings one night a week. Students take one course every 8-weeks, which offers the opportunity to complete a Bachelor's degree in 20 months. 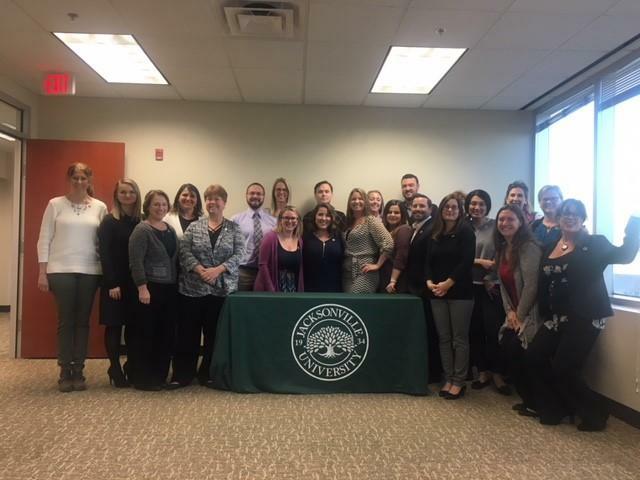 ​RN-BSN students are rarely required to come to campus; however, they have full access to Jacksonville University resources. Additionally, the majority of faculty who teach in the RN-BSN coho​rt programs also teach in our traditional classrooms and clinical settings. Many ​are doctorally prepared, and all have years of clinical practice experience. A complete list of faculty biographical sketches can be found here. Classes will be held every Tuesday night from 3:00 p.m. – 8:00 p.m.
Download a printable flyer about the RN-BSN cohort. Interested in applying or want more information regarding upcoming cohort events? Please complete our Nursing Cohort Inquiry Form to be added to our email list, or contact us at brchscohortprograms@ju.edu. If you decide to apply, please have official transcripts sent to the Office of Admissions at Jacksonville University. JU requires applicants to send all transcripts even if the course resulted in a drop, withdrawal, failure, or if the course was transferred to another school, we will still need the original transcript to be sent to us. Without each and every transcript, a delay in the admissions process may occur. For information on how to send JU your transcripts, please visit the Registrar's transcript instructions site. Please order transcripts as soon as possible as it may take a while for it to be mailed and delivered to our Admission's Office. To obtain a Bachelor's degree, each student must meet the 120 credit hour requirement. The credits include: BSN nursing courses, BSN core courses, and general education courses. Students matriculate at lest 30 credit hours of BSN level nursing courses throughout the duration of the program. We also award 30 credit hours for possessing an active registered nursing license. Therefore, we will need to verify that students can transfer in about 60 credit hours comprising of the BSN core courses and general education course. If you would like to schedule a meeting with our Coordinator to discuss transfer credits please email us. For additional detailed information, please see review this sample progression plan. For JU tuition information, please visit the Student Financial Services's webpage. Please note that tuition may increase each academic year. Applicants can schedule an appointment with the Cohort Coordinator here; Cohort Applicant Advising Appointment. If you would like to discuss the application process, or to have a preliminary review of your transcripts, please be sure to being a print out of all documents before coming to your appointment. For information about our online RN to BSN program, please visit the RN to BSN Online Program website.